In industry production, foam is everywhere in such that as machine tanks of various types of processing fluids; various industrial cleaning tanks; various industrial and agricultural products and preparations; various production steps of petrochemical industry, water treatment, etc. Foam brings various problems to industrial production: in order to prevent foam overflow, the feed coefficient is forced to reduce by 30% to 50%; foam overflow leads to waste of raw materials; foam takes up space, affects reaction speed, and production cycle is forced to prolong; foam affects products Quality, such as paints, plastic products; the generation of foam, has an impact on the stability of industrial production, resulting in operational fluctuations, unstable quality. The most straightforward solution to the bubble problem is to use an antifoaming agent. Whether it is a silicone defoamer or other defoamer type, their role is to solve the foam problem. The silicone defoamer is prepared by a silicone oil as a basic component and a suitable solvent, emulsifier or inorganic filler through a special process. The silicone defoaming agent as an excellent antifoaming agent, is particularly valuable because of its chemical stability, physiological inertness and good high-and-low temperature performance, while being featured by its strong defoaming power. Therefore it is widely used. 3. Have such features as good heat resistance, chemical stability, harmlessness, the non-burning, the non-burst. Note: The values listed in the data sheet only describe the typical properties of common silicone defoamer products and do not represent the scope of the specification. 4. Water-based coatings and other aqueous foams. 5. Other industries that need anti-foaming time and fast defoaming. Silicone defoamer has excellent anti-foaming performance. It can be added after the foam is produced or added as a foam-inhibiting component. 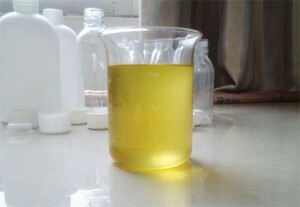 According to different use systems, the defoaming agent can be added in an amount of 10~1000ppm. The best adding amount is up to the test results conducted by customers under specific circumstances. Silicone defoamer products can be used directly or diluted. If fully stirred and dispersed in the foaming system, it can be added directly without dilution. If dilution is required, please follow the attached dilution formula. It is inadvisable to dilute the product directly with water, as it is prone to delamination and demulsification, which affects product quality. Defoamer manufacturers are not responsible for the consequences of direct dilution with water or other incorrect methods of processing or using the product.